Pontassieve, a town in Tuscany, Italy, is best known for being a place "near Florence" - in fact it is quite an interesting little town located 14 km east of Florence in the Arno valley at the point where the Sieve river flows into the Arno. It was heavily bombed during the the war because it was an important railway junction. However, new construction and restoration make it still a pleasant place for a brief visit when visiting the Mugello, Casentino and Val di Sieve areas from Florence. Pontassieve is also a good location for country vacation accommodations in Tuscany, Italy, being within easy reach both of central Florence (also by bus and train) as well as the Chianti Rùfina Pomino wine routes. 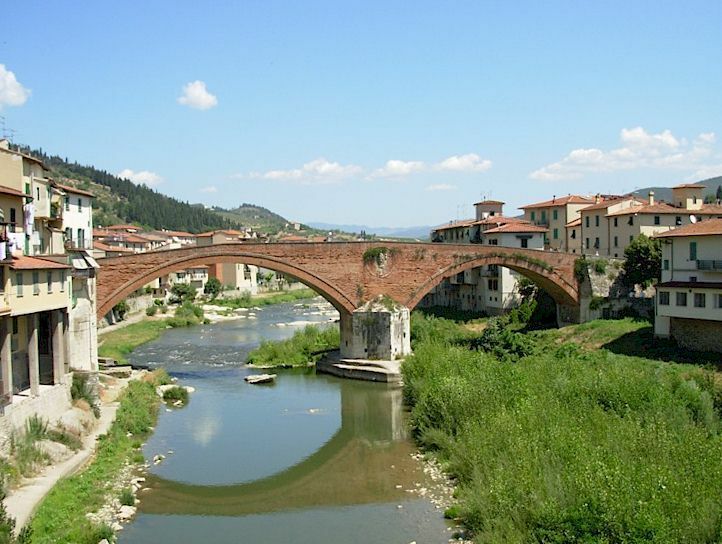 The entire Mugello as well as Fiesole, Italy can easily be explored from Pontassieve by car. Vorresti pubblicizzare la tua attività su questo sito web per la Pontassieve e ricevere traffico in entrata dalla nostra rete di più di 50 portali relativi? Clicca qui per ulteriori dettagli in merito alla nostra soluzione integrata per una presenza su internet piena di successi.